This roper cinch distributes pressure over a wider area and prevents heat from building up while you ride. Weavers cool flex foam channels let air move under the roper cinch without losing secure contact. Quickly rinse this roper cinch. That’s all it takes to keep it clean. This roper cinch also moves with your horse thanks to the padded flex edges and stainless steel hardware won’t rust like other metals. 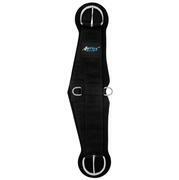 With flat stainless steel buckles and dees this cinch provides a cool and comfortable ride and a secure fit. 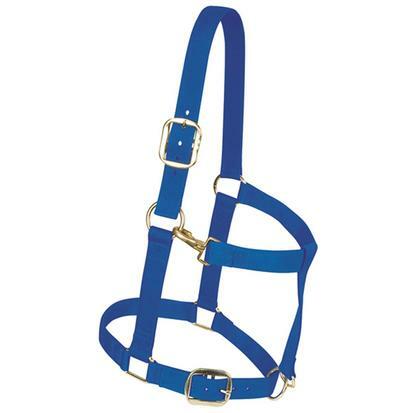 Foal halter made from supple and soft latigo leather. This soft latigo leather is burgundy and 5/8 of an inch. The halter has a figure eight design that offers flexibility is fitting different sizes and has two crown sizes that allow for foal growth. The latigo leather is riveted for added durability. 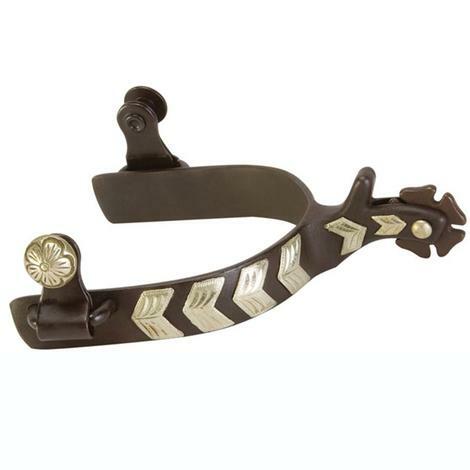 This foal halter features brass roller buckles and a brass ring with catch. 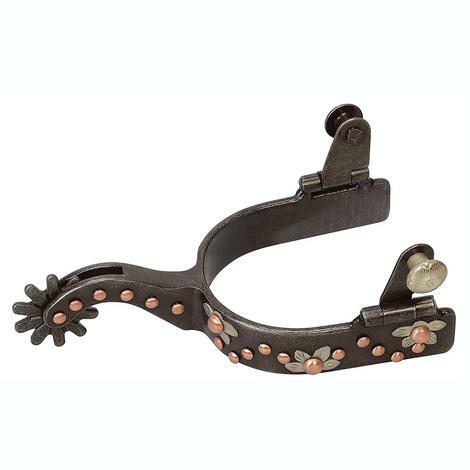 These Spurs were designed with the right weight and balance so they hang properly on the boot without riding up. Features an on-trend Buffed Brown finish. 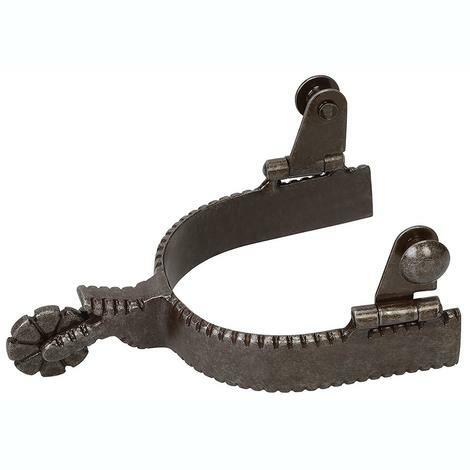 These Spurs were designed with the right weight and balance so they hang properly on the boot without riding up. Features on-trend German silver engraved trim. 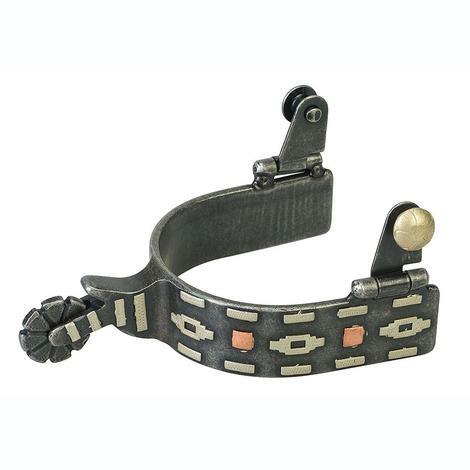 Weaver Buffed Black Aztec western spur for ladies. 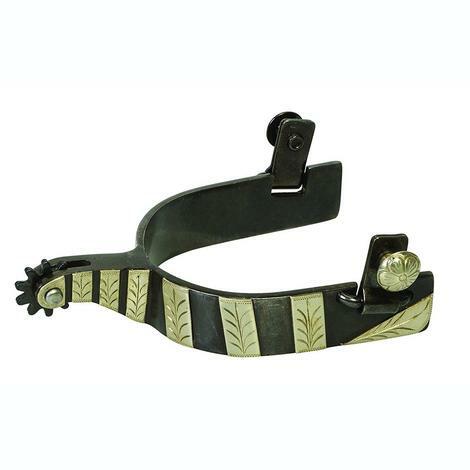 Features a black finish and German silver engraved trim. 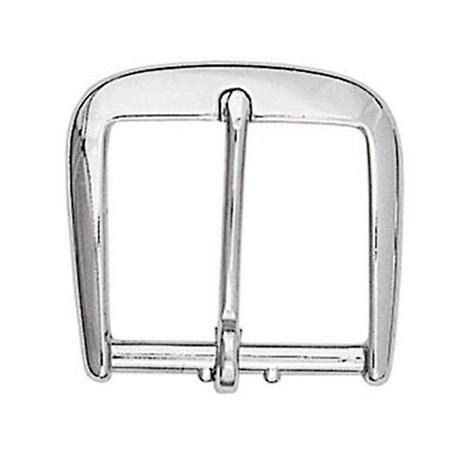 Enhance your project with the quality of this oversized cart buckle. It featured a high hand polish for a lustrios finish. 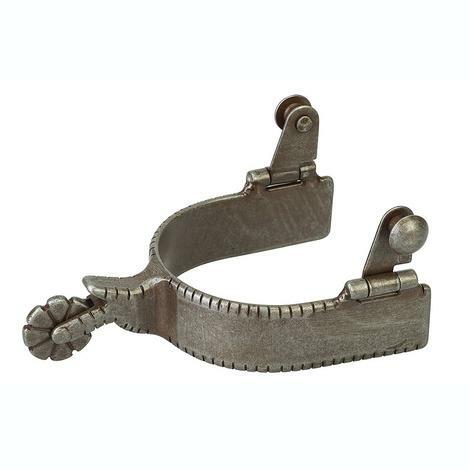 Very popular for on tack and harnesses, this buckle also lends classic western style to projects like belts and bag straps. 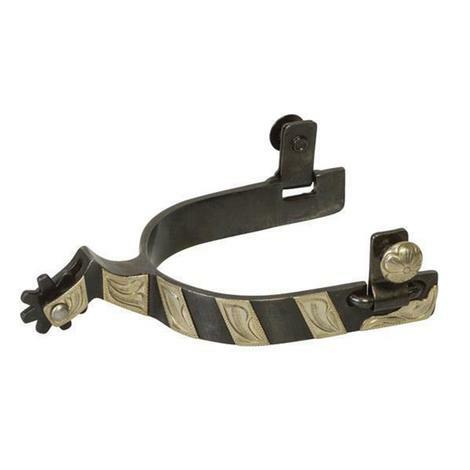 Men's show spurs with antique finish. 1-1/4" shank, a 3/4" band and a 6 point rowel. German silver chevron trim. Draft Horse Halter made by Weaver Leather. Features a flat throat, a solid brass throat snap, and an adjustable chin. Doubled and stitched 1-1/2" nylon draft horse halters offer years of use. This is a large draft horse sized halter. 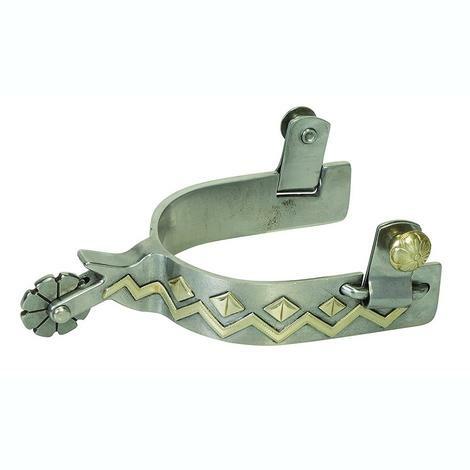 These men's spurs feature a 1-1/2' shank, 1' band and 10-point replaceable rowel with cotter pins. Light blackening finish with German silver trim. 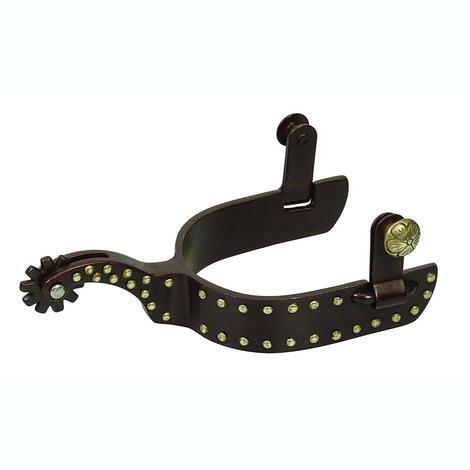 These men's spur straps feature a 1-1/2" shank, 1" band and 10 point replaceable rowel with cotter pins. Sweet iron with German silver trim. Weaver Leather German Silver Band spurs with replaceable rowels and on-trend light blackening finish. 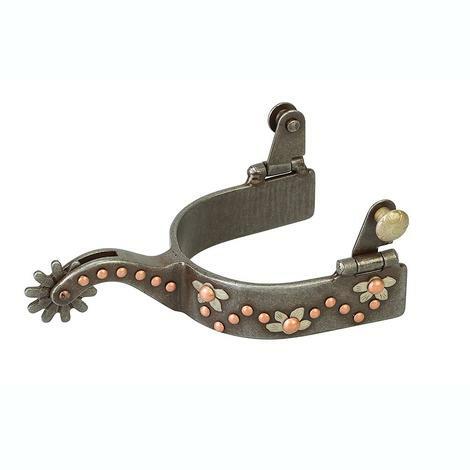 Weaver Leather spurs with dotted accents and replaceable rowels. On-trend antiqued finish. Draft Horse Halter made by Weaver Leather. 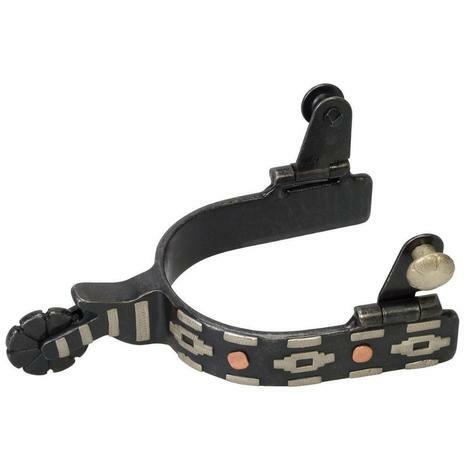 Features a flat throat, a solid brass throat snap, and an adjustable chin. Doubled and stitched 1-1/2" nylon draft horse halters offer years of use. This draft horse bridle set comes with a loose ring snaffle bit, 7 foot reins, and a browband headstall. 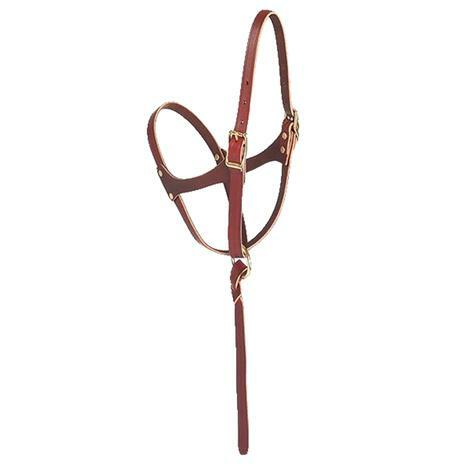 The browband headstall is 1 inch, doubled, stitched, and is made of sunset harness leather. 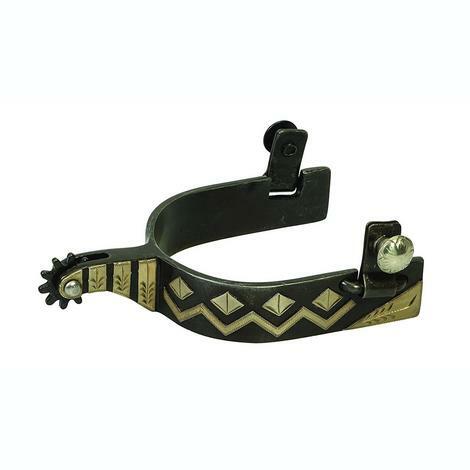 The browband has double buckle adjustment and Chicago screws. 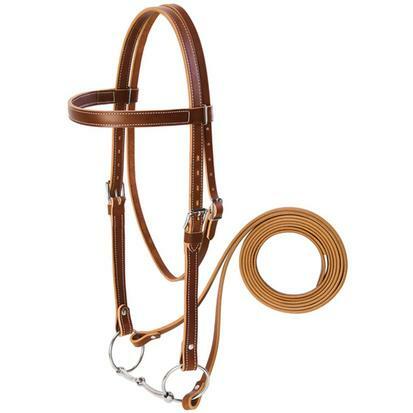 This bridle set is designed for the average sized draft horse. Made by Weaver Leather. Weaver Leather has manufactures tack for a wide variety of equine disciplines. With over 40 years of experience in the industry, Weaver Leather has developed a reputation for bringing its consumers top quality, innovative products you can trust.